For a while we published an affiliate marketing income report every month. This is where you will find our blog affiliate income reports. 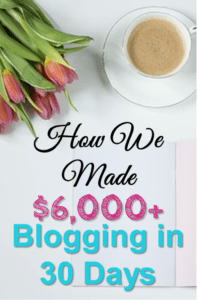 Do you want make money blogging? 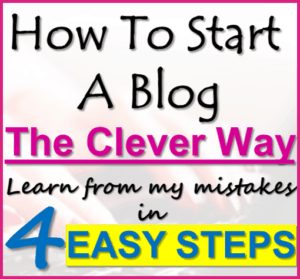 Are you interested in starting a hugely profitable blog? 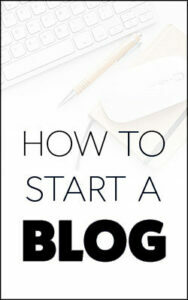 Check out our tutorial that will help you start a blog of your own for only $3.49 per month. It’s a tiny cost for blog hosting compared to the potential profits! Disclosure: Please note that some of the links on this page are affiliate links. This means that we may earn a commission, at no cost to you, if you decide to make a purchase after clicking through the link. Please understand that we have experienced all of these companies, and we recommend them because they are helpful and useful, not because of the small commissions that we receive if you decide to buy something through our links. Please do not spend any money on these products unless you feel you need them or that they will help you achieve your goals. Our online income report is just for information purposes. Here are some of our other online income reports for you to check out. A full list of links to all our online income reports can be found at the bottom of this page! Update 12/3/18: Unfortunately, we no longer publish blog affiliate income reports. Even though our blog affiliate income is much higher now, which is awesome, we are just going in a different direction with this blog. While we think that blog affiliate income reports can be helpful, we don’t want to become a blog that is all about blogging. We will probably publish the occasional online income report, but it will no longer be on a regular schedule. Welcome to our first ever blogging income report! This page is where you will find links to our other income reports from blogging about making money and stock trading! We are super passionate about blogging and making online income. You can read more about our story here. These income reports are the results of a few years of building our blogs part-time while we worked on other businesses (‘real’ world businesses). Why Do We Share Our Online Income Reports? Here are the three main reasons why we have decided to share our Income Reports. We have made every mistake in the book so far….we are really hoping that by sharing our income reports, we will help YOU avoid our mistakes! 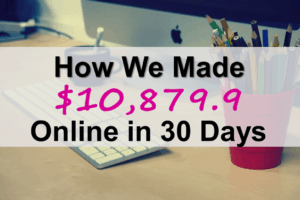 When we first started blogging, we were very inspired by other peoples online income reports. I am not sure we would have kept going at it if we had not known what was possible! Our online income reports show that it IS possible to make money online. We also like to look back over our previous income reports to keep ourselves motivated and to learn what is working well for us and what needs improvement. Remember it only takes 5-10 minutes to set-up a new blog with WordPress and Bluehost and the income that you can earn from blogging is unlimited! Hopefully, these income reports will prove to people that it is possible to create your own income, be your own boss and live a life of financial freedom and happiness without following the conventional 9-5 path. It only takes 10 mins to create your very own blog that makes money! Be sure to check out our recommendations page for tons of exceptionally useful tools that we have used to make money online. We love them all and I am sure you will as well! 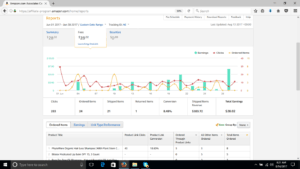 Affiliate marketing income report – What was our blog affiliate income? Well, this was our best month so far for affiliate income earnings! The total commissions generated for the month of June 2017, from the four affiliate programs that we are currently promoting was about $6,730. This is a significant income – so we have been inspired to write our first online income report! The majority of the commissions came from a stock trading educational product (screen shot shown below) that made us $6,327 in affiliate commissions in June 2017. Some of the individual commissions were as large as $1,000 each! This month has really opened our eyes to the power of high paying affiliate programs that have excellent sales funnels. In the coming months, we are going to continue to focus on promoting and finding new high ticket, high quality affiliate programs instead of fighting for $28 commission from Amazon :). Here is a break down of commissions from our blog affiliate income and what we did differently in June 2017. We joined Wealthy Affiliate in June. I think this resource will be very helpful going forward! There are so many great people on the site that we can get advice from. Wealthy Affiliate also seems to have a world class affiliate program – it has everything that we look for in an affiliate program. The commissions are a bit low but they are recurring. We did not promote the affiliate program for Wealth Affiliate in June so there are no sales from that in this report. $28.02 – We made a small amount from my Amazon affiliate niche website (read more about our Amazon site here). It is an entirely passive income website that we bought from Flippa ($4,000, yup we got ripped off! ), mainly to learn how to make money from Amazon niche sites. We have been a little sad about the lack of decent income from the site but it is like having a passive money tree so we can’t complain. We have included a screen shot of our June 2017 earnings from the site below. 3. $253.10 – We made this from one of our stock trading websites that promotes stock trading educational products. We get a 30% affiliate commission that is recurring when someone buys a monthly subscription to any of the stock picking newsletters. 4. $6,327.00 – This was generated by one of our other stock trading affiliate sites. 5. $121.42 – ClickBank commissions for a stock trading affiliate program. We just started promoting using ClickBank affiliate programs. We had about $300 dollars this month in advertising/promotional expenses and fees. It’s not much at all compared to what we are making. Usually, we average just over $2,000 a month with affiliate marketing as a side business. However, in May and June we focused entirely on the affiliate marketing business to see what was possible. We have been doing this on the side for 4 years but we are finally starting to think that a full time living may be possible with affiliate marketing! Wealthy Affiliate has some great training and we are looking forward to getting more involved with the WA community. Does anyone have any suggestions for good high ticket affiliate products? Higher paying affiliate products seem to be the secret to making money blogging. Here are our other blog affiliate income reports from both this blog and others that we run. 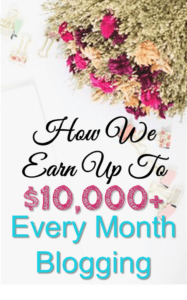 We hope you can get some inspiration and ideas from how we make income from these blogs that can help you build your own extra online income streams. We are not planning to publish an online income report every single month, just when we want to share some new techniques or programs that are making us money! The goal will be to inspire you to try some of the programs or methods that we have had success with. I hope you enjoy our affiliate income report ! We really hope that you can learn something from our online income report.